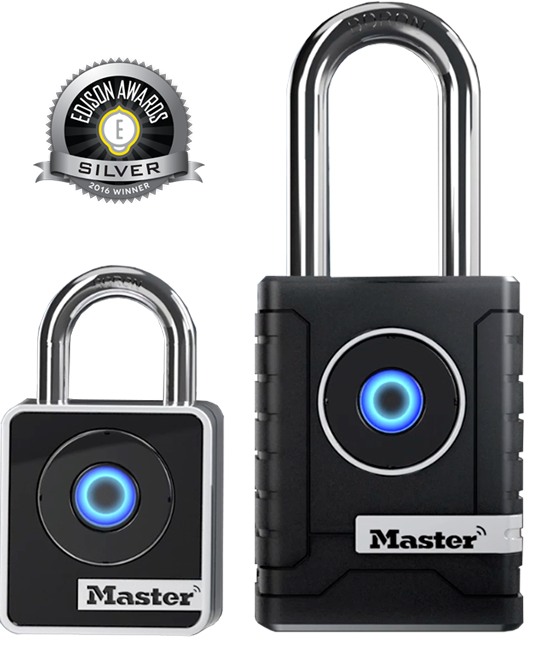 Master Lock is most definitely keeping up with the technology in today’s world. The Smart 4400 Padlock is an indoor combination free and keyless entry lock. No numbers to remember or keys to worry about losing. It is designed using Bluetooth technology. The user is able to open the lock by using an app (available for free download on The App Store or Google Play) on his or her smartphone. 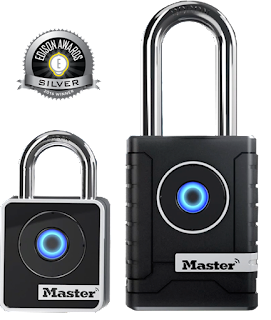 The Bluetooth Smart 4400 Padlock is easily programmable into the app. You can also program additional locks into the same app if needed. To open the padlock, simply open the app on your phone and push the button on the padlock. To secure the lock, just push the “U bar” back into place and it locks automatically. As long as the app is running in the background of the phone you do not have to worry about opening the screen. What makes this padlock attractive is the fact that you don’t have to worry about losing keys or remembering a combination. Think about it, who really loses their phones? Tip – be sure to write down the device number in a safe location if you accidentally delete the app or upgrade your phone. You will need to reprogram the information.